Cheap flights to Thailand: Bangkok for €359! Four star luxury airline Oman Air now offers amazing prices on flights to Thailand. 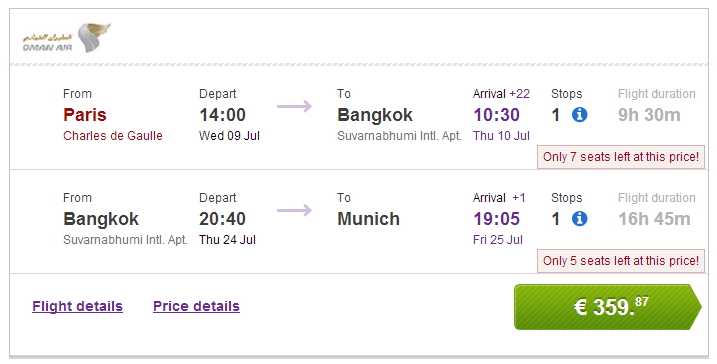 Multicity tickets Paris – Bangkok – Munich are now available for €359! You can also fly back to Frankfurt for the same price. Travel dates are until end of September with maximum 3 month stay. This tariff expires today so you better hurry up with your booking. Book via BudgetAir to get this awesome price.